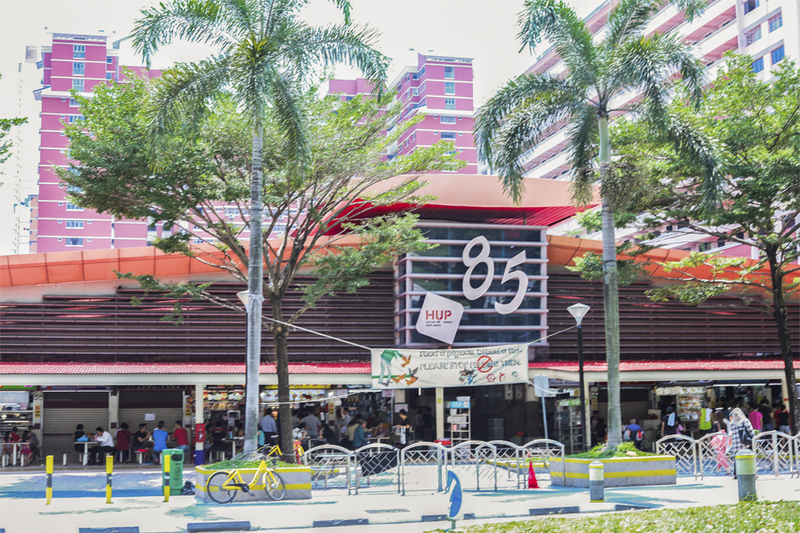 After writing about some of the more popular hawker centres in Singapore, I thought I should move on to the more under-rated and less talked about ones. 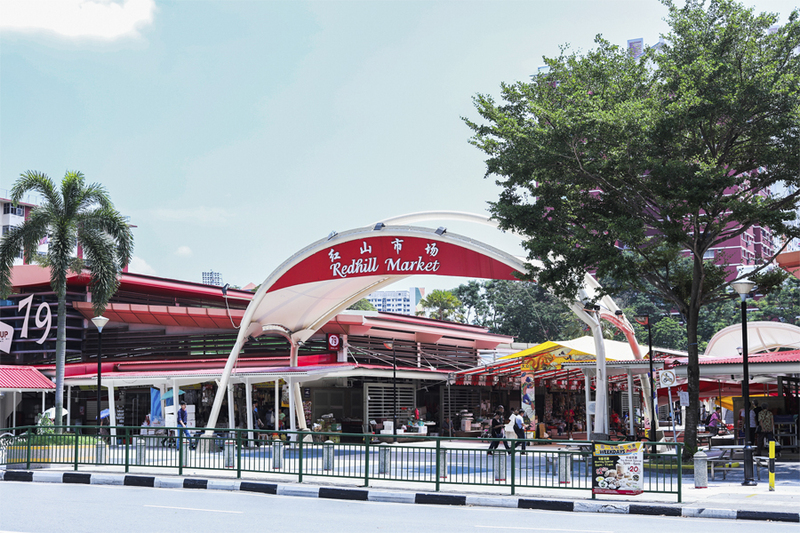 Redhill Food Centre at 85 Redhill Lane is just a few minutes away from the Redhill MRT Station, and is lined up with a wide assortment of food stalls. I usually come here at night, where just a couple of stalls are opened and you would find uncles hanging around for supper and beer, complaining about what else… the G.
Morning is a different story, bustling with energy. 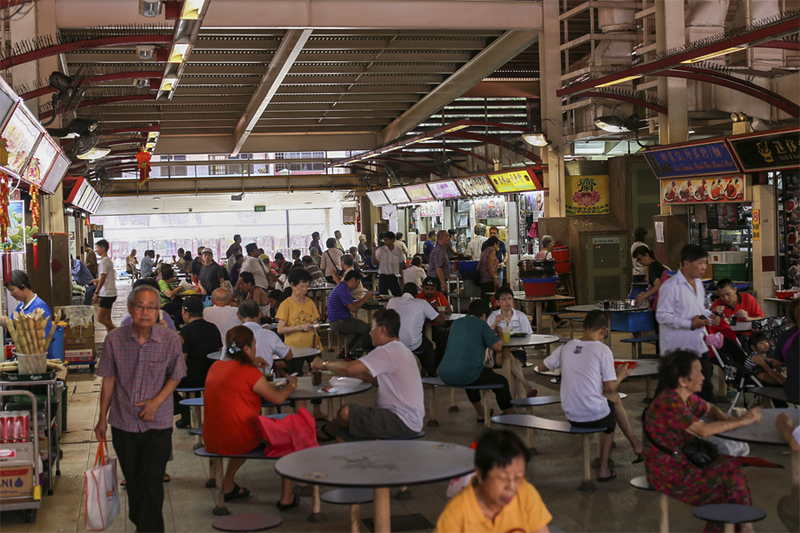 Tip: Look out for those stalls with moderately long queues and opened for just that few hours a day. This is really where you can find “cheap and good” stalls. Like Lan Xing Delight which serves up cai peng with one meat and two vegetables for an astonishing $2.50. And it can be pretty filling. 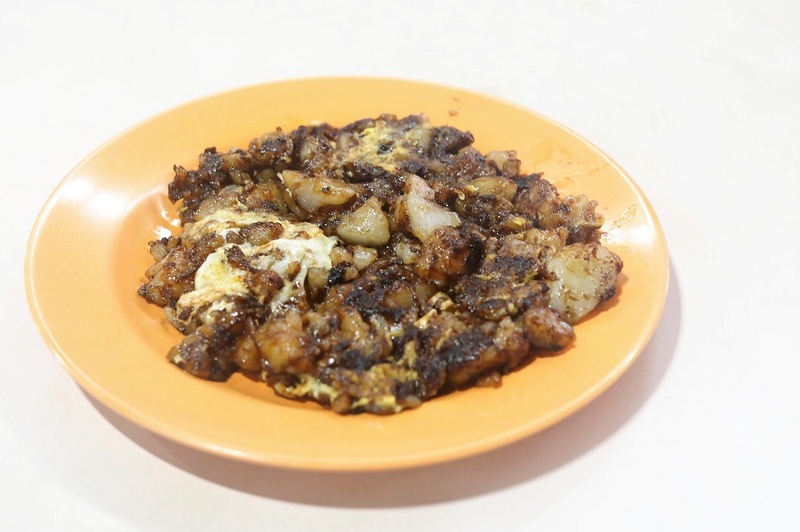 Okay, whenever I write such hawker food guides, I get ‘scolded’ for leaving out this and that stall. Need to say I only have that amount of stomach space, but have stalls such as Ali Fatimah, Shi Le Yuan Teochew Porridge, Ru Ji Kitchen (fishballs), Hock Shun Traditional Home-made Curry, and Rong Xing La Mian Xiao Long Bao bookmarked. 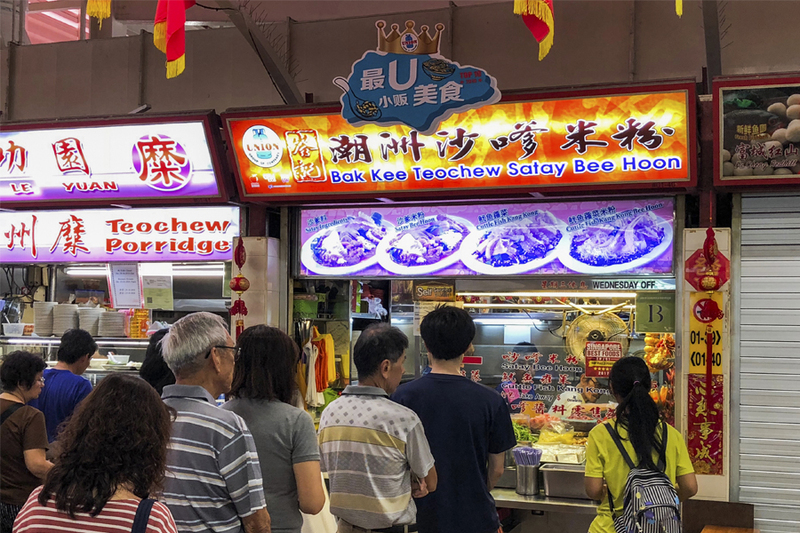 Satay Bee Hoon is a fast-disappearing dish in Singapore, and you cannot find it in many food centres already. Bak Kee Teochew Satay Bee Hoon is worthy of mention for its warm and comforting peanut sauce which got the consistency just right. 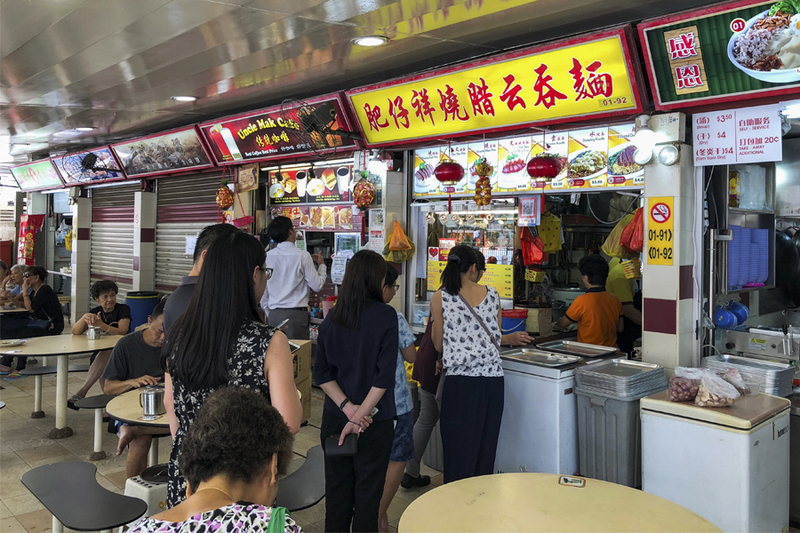 The stalls serves up Satay Bee Hoon, Cuttle Fish Kang Kong and Cuttle Fish Kang Kong Bee Hoon. 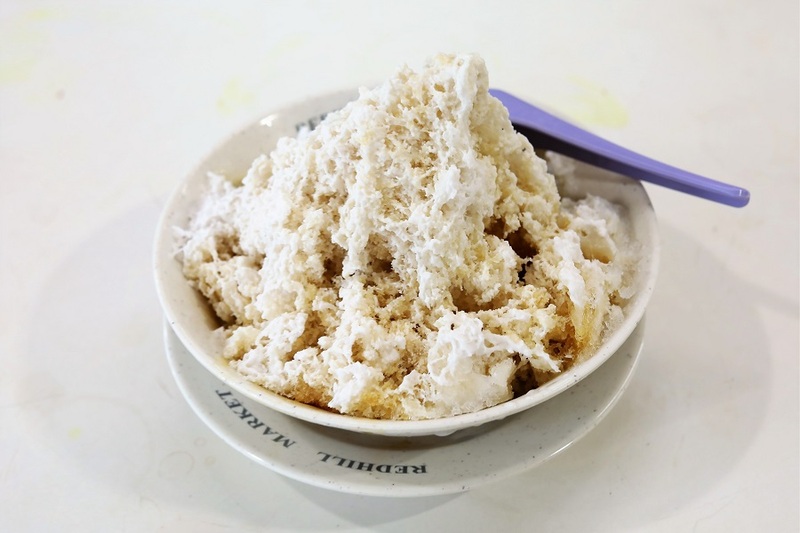 Even if you are not a big fan of this dish, you may be a convert after trying their version, with many customers queuing up to 15 to 20 minutes to get their hands on a plate. Their Satay Bee Hoon ($3, $4, $5) peanut sauce was fresh and fragrant with the aroma of peanuts, sweetness not overpowering with just a tad of spiciness. While some of the other stalls have sauces that have that nuttier texture, this feels just right and coats the thin vermicelli evenly. The portion size is quite generous with cuttlefish, liver, tender pork slices, tau pok, blood clams and strands of kang kong. 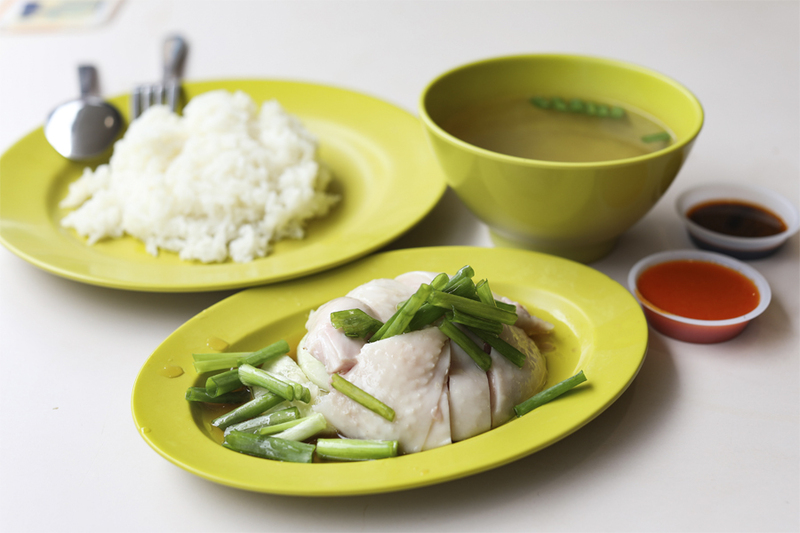 Funny that there are so many “best chicken rice in Singapore” but not many actually listed Hua Kee. I would reckon its fans would rate this as the Number 1 stall, above those highly raved and famous ones. 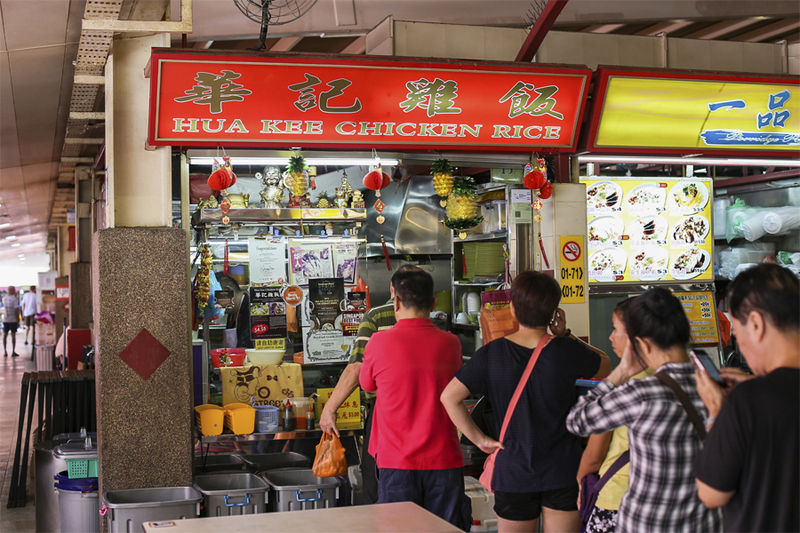 Hua Kee Chicken Rice stall has been running successfully for over 30 years with their special family recipe made with a lot of heart and attention. The stall is always packed with people and the queue is long if you come in peak afternoon hours. I got my plate of chicken rice after queuing for about half an hour. The Chicken Rice (starts at $3) was quite tasty with chunks of tender, succulent chicken with fragrant rice cooked in chicken stock. The poached chicken was not overly greasy or saucy, in fact still tasted slightly ‘cold’, but had this smoothness which was quite alluring. The rice while fluffy, was not that greasy as well, and some people may find the need to drizzle more chilli sauce and dark sauce over. Simple but worth queueing for. 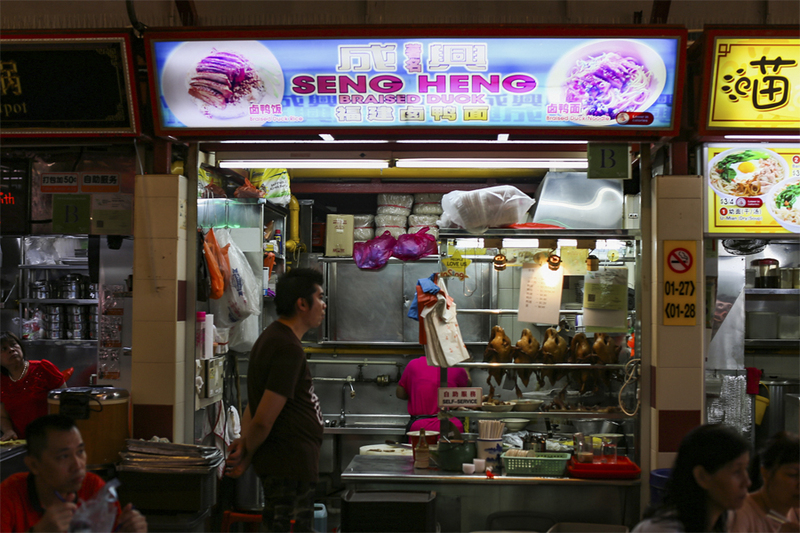 This cheap and good food stall is run by 2nd gen hawker whose family has been in the same business for over 20 years. 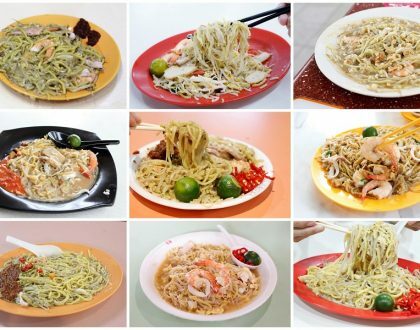 The choices at this stall make it stand out, as there are 20 plus different dishes cooked on a daily basis. 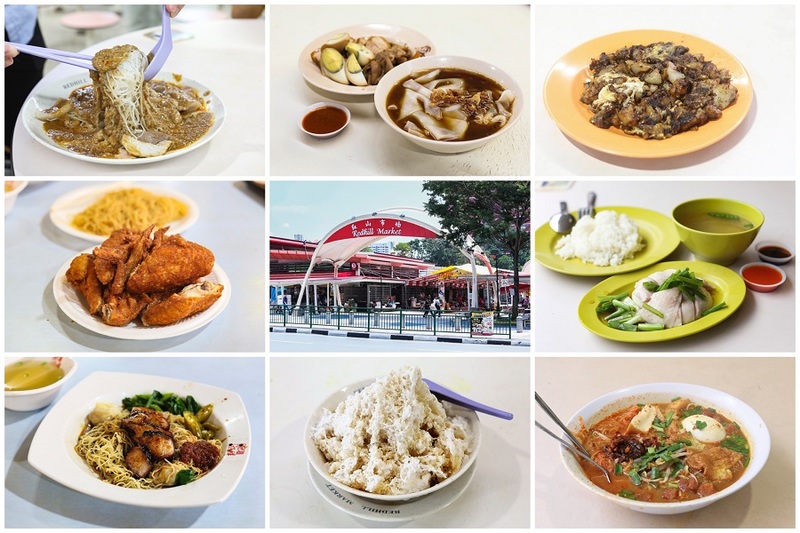 Recommended dishes include Pork Chop, Char Siew, Braised Pig’s Trotters, Dong Po Pork, Boneless Curry Chicken, Curry Sotong, and Prawn Fritters. Pork Chop – must get. If you are hungry for more, there are also the Pork Meatballs, Ikan Billis, Cabbage, Stir-Fried Long Bean, and Chye Poh Omelette. Prices go from $0.70 per portion to say $4 – $6 for the fish. Come in a group, order a small variety, and when you add everything up, you really this rice stall is really quite economical. This was the famous chicken wings that PM Lee Hsien Loong stood in queue for. 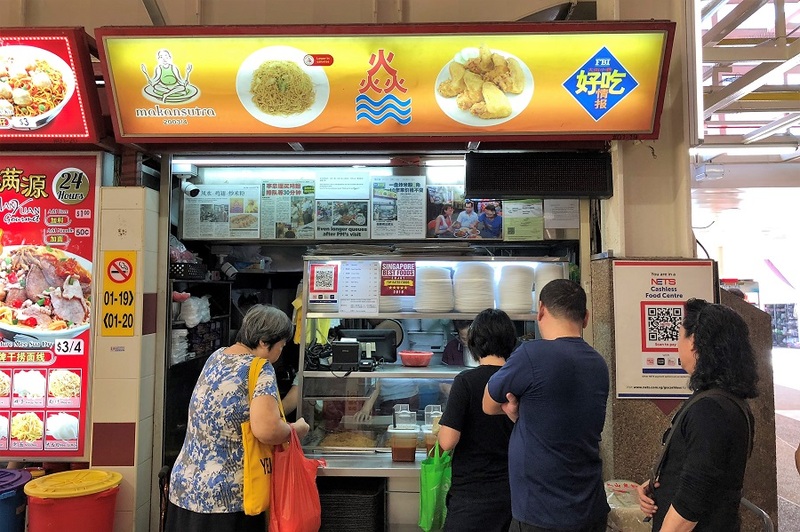 However, on that note, it is said that the original owner has moved to 726 Clementi West Street 2 (West Coast Market), while the new owners changed the name of the stall slightly (not many will discover the difference). While standard may not be quite the same as before, these crisp and somewhat oily chicken wings ($1.20) are still worth it for an indulgent supper treat. Pair this up with some Bee Hoon ($0.60), which I would always pour some sweet chilli sauce over, added with other deep fried items of luncheon meat, fish cakes and sausages ($0.50 – $1). Their Char Siew is quite the bomb. 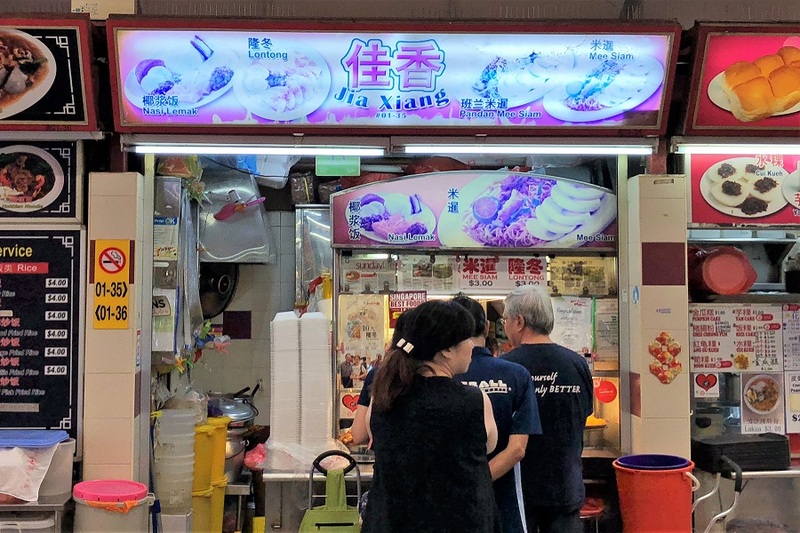 When you are in the mood for roasted meat, the Fei Zai Xiang is the stall you should head, located facing the side road. Even though there is usually a short queue, the stall is quite fast and get your orders out quick. 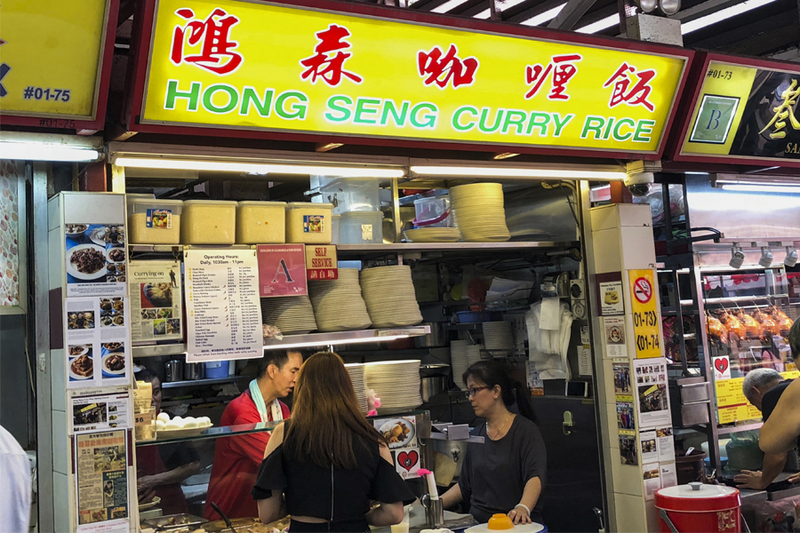 They serve up a variety of Hong Kong roast rice and noodle dishes, such as Char Siew Rice, Roasted Duck Rice, Roasted Meat Rice, Wanton Noodles and Dumpling Noodles. Priced between $3 to $5. 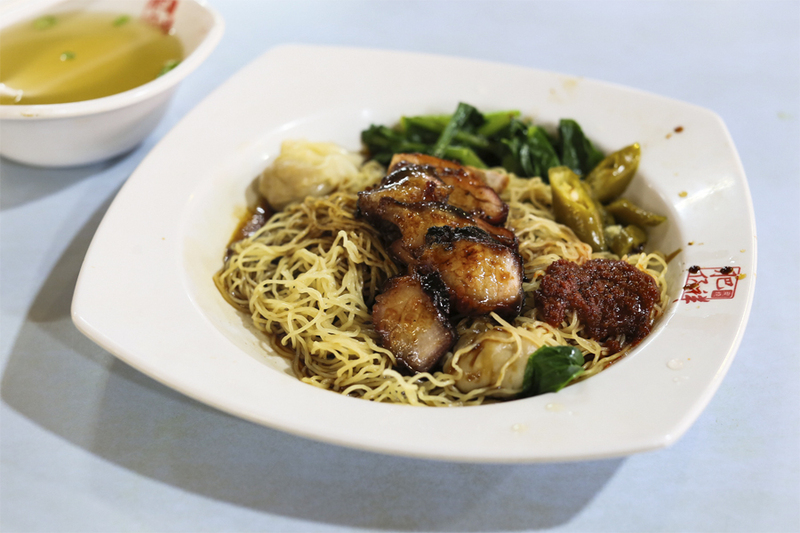 The Wanton Noodles ($3.50) had noodles that were the thin, springy Hong Kong style, topped with caramelized char siew slices that were quite thick, rich and fatty. Not super famous, but worth a mention for its portion and well-charred meats. This is one of those breakfast places only, and I would suggest going early as they usually run out by 10plus 11am. 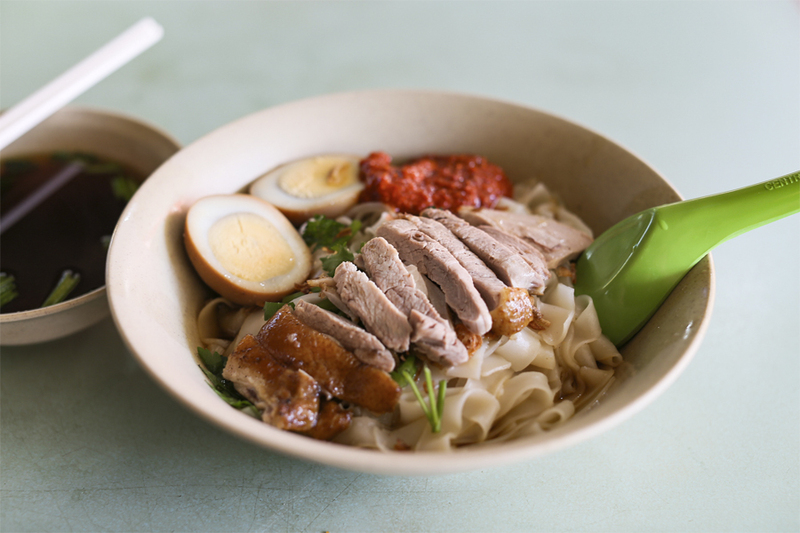 The Hokkien-style braised duck has a very authentic taste and flavor, with just the right blend of spices. The meat while slightly on the lean side with a bit of gaminess, still had tender texture and succulent flavor. The chili really spikes up the taste of noodles and compliments the whole dish quite well. As for the soup, it had the essence of the duck bones and some herbals which gave it added richness. 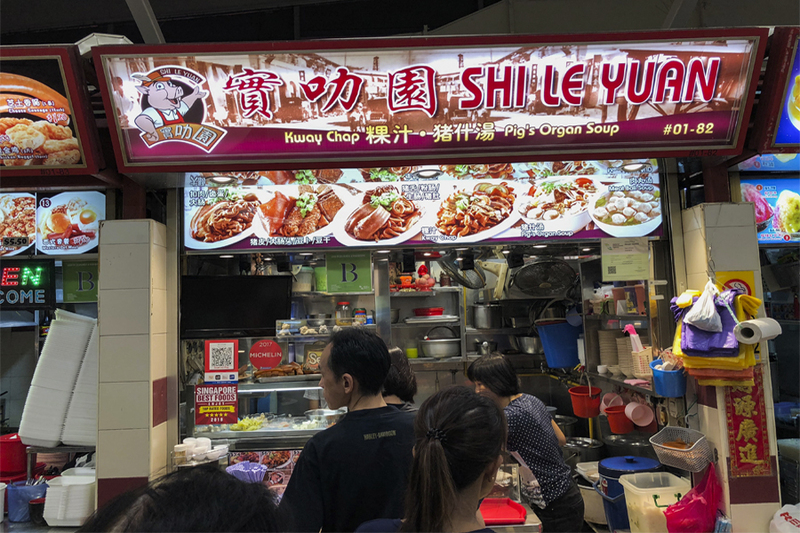 This stall was once listed in the Michelin Guide Singapore in 2017. 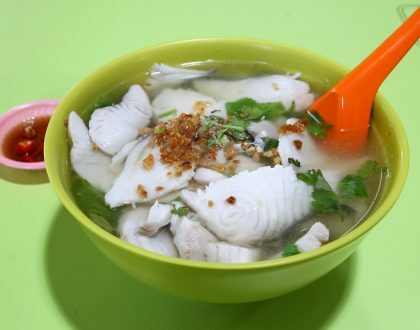 The Kway Chap is priced at $3 or $4 for individual portion, $6 or $7 if you intend to share. 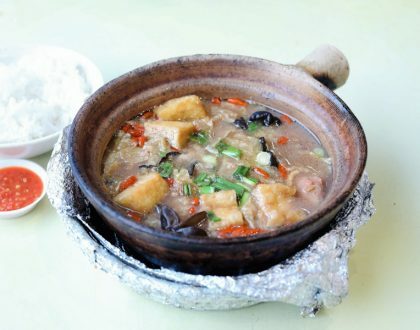 It is accompanied with an assortment of ingredients like pig’s intestine and skin, fish cake, hard-boiled eggs, tau pok, and tofu, all braised together in the sauce. I enjoyed that the intestines were soft and without that wonky after-taste. Also available are Pig’s Organ Soup and Meat Ball Soup. The couple-hawkers were friendly and sincere as well. I usually head over here for supper, and when not worried about counting calories. To look out for the stall, find the “Mickey Mouse” on their signboard. 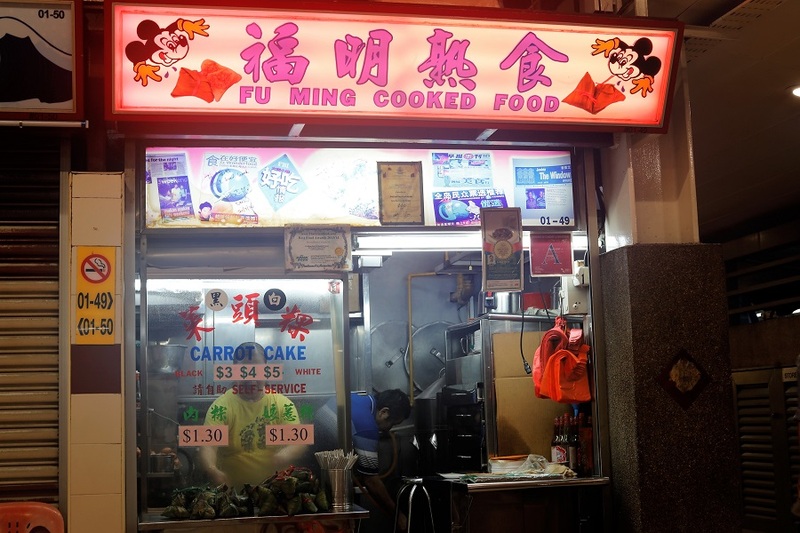 Fu Ming Cooked Food is quite popular as a supper treat for its Fried Carrot Cakes ($3, $4, $5), available in both white or black versions. Good to know that this stall still steams their own carrot cake, and thus you would find it softer and more watery, compared to many others who simply get their supply from factories. Usually I would go for the white versions in most stall, but somehow I prefer the black here. There is this soft texture and flavor along with hint of radishes, some pieces of eggs, dribbled with sweet black sauce which was added twice for extra sweetness. You may find it slightly sweet and greasy though. Two words – old school! There is usually a steady queue for the Mee Siam ($3), Lontong ($3) and Nasi Lemak ($3). All of which were reasonably priced considering the portion size. 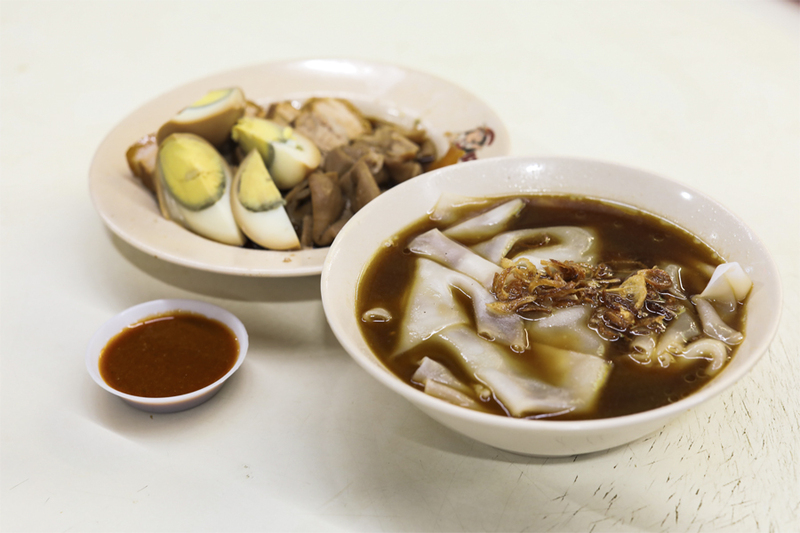 The owner has been serving up Mee Siam for more than 50 years, having learnt the recipe from her mother. Don’t be fooled by the faded signboard, because it is the food that really matters. 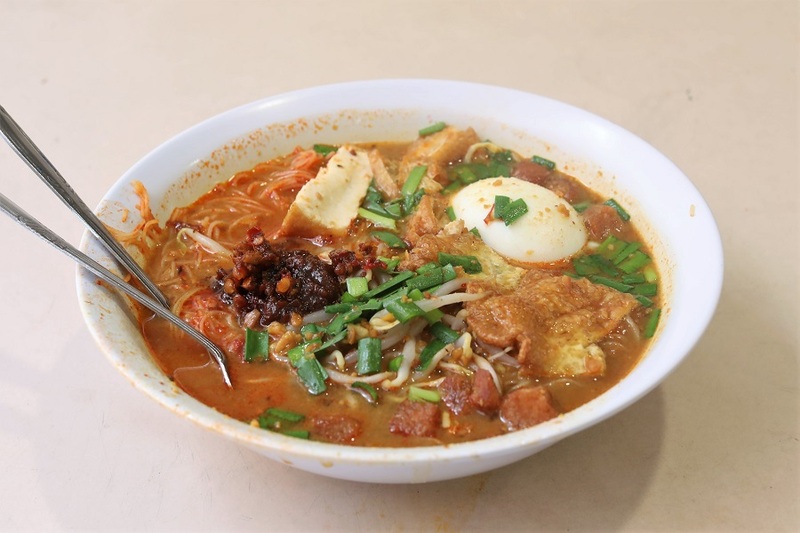 You get a myriad of ingredients spread atop the orange bee hoon such as hard boiled eggs, tau pork, tiny fried croutons, a thin piece eggs, fried ikan billis, and finished with a dollop of chilli. Once you taste the gravy, you know where the magic is – the right proportion of sourness with that zing. Very addictive. 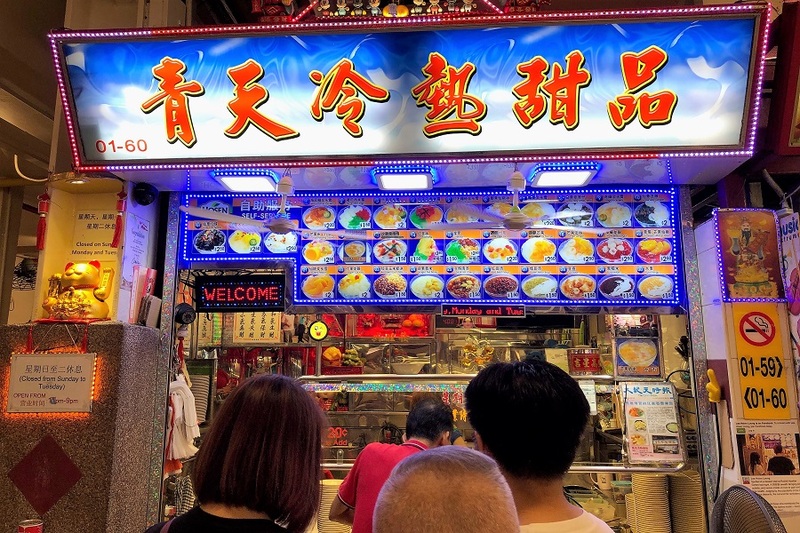 This stall serves up quite a variety of both hot and cold desserts, from Cendol, Sea Coconut Iced Jelly, Ice Kachang, Cheng Tng, Red Bean Sauce To Mango Pudding Cocktail.